This article appeared first on SABC News Online and has been reprinted here with permission. The interview below has been edited. 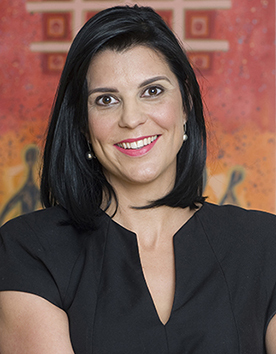 In an interview with Ask Afrika MD Sarina de Beer, she explained that there is a greater call for social capital and responsibility to be pushed into the private sector. DiSA: Where does Ask Afrika position itself in the marketplace? AA: We are the largest locally-owned research company. We’re still 100% local shareholding, which is fairly unique compared to the big players in market research. But we still believe that it actually creates the opportunity for us to really understand the local market and not just work with global or international models that we would try to enforce on the local context. De Beer goes on to comment on data collected about companies’ role in combating unemployment. AA: [We have seen] the phenomenon of social capital of companies in uplifting unemployment, as consumers are migrating the public sector responsibility to private sector. So what the particular services or obligations that [consumers] find that the public sector is not adhering to or not meeting sufficiently, they are migrating that responsibility back into private sector. So these things are actually where [consumers] believe what private sector should be contributing towards, [that is] what are the public service dimensions that the private sector needs to make a difference or contribute towards, and this is actually the performance difference. So, for instance, if they rated private sector on ‘promote honesty and transparency’ last year to this year, they actually think that private sector is actually performing worse. On average, it’s actually 9% drop. What we’re seeing at the moment is that public sector responsibility is migrating into private sector and private sector responsibility is almost migrated back into the consumer, so the consumer needs to pick up the red tape, the inconvenience, [things like] FICA, legislation and regulations in place, this has now become my responsibility as the consumer. I need to make sure that I don’t share my details, I need to make sure that I complete all these forms to make sure that there is no fraud that can be committed on my account etc. So it’s almost pushing the responsibility back to the consumer. DiSA: What are companies doing to combat or offset this push back to the consumer? AA: If you look at all the innovation that’s happening at the moment from the marketing perspective and from a product perspective, we are not seeing the same innovation in the service space or environment. 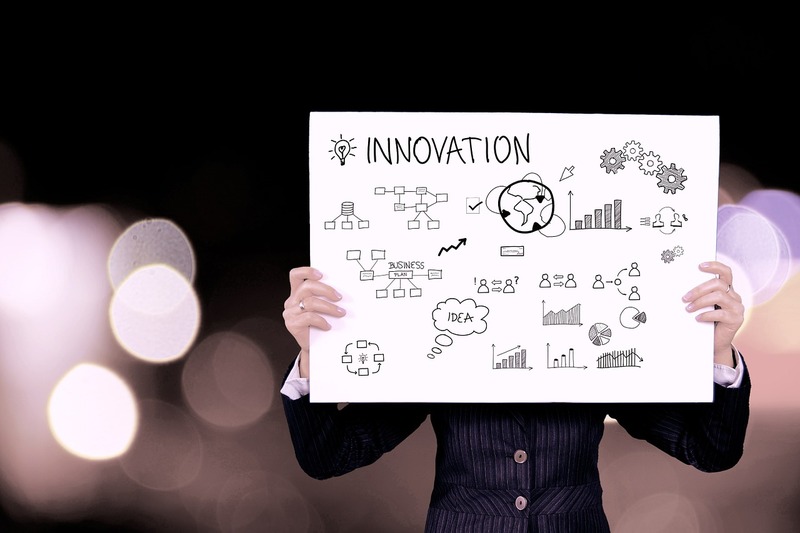 We’re asking companies, why can’t you be more innovative in the service space? Why can’t we be better at finding innovative solutions to make sure we don’t transfer the responsibility back to the consumer? Why can’t we use the innovative capability and actually take the responsibility back to corporate where it actually should sit? DiSA: In your opinion, why is there so little innovation in the service space? AA: Personally, marketing and brand is where the investment goes. I think it’s the bit that’s almost ‘sexier’ to a certain extent; it’s where I can also get something back from the consumer. So to a very large extent if my product or marketing tactics are very, very innovative, I get more from the consumer, I can get them and manipulate them to spend more money. [Companies] do so much on loyalty cards and understanding the consumers better and really getting into their mindspace, but we normally do that to actually understand to get more from them, to sell more to them, to get them to spend more money with us, but we don’t use that same kind of innovation to do something that’s purely just beneficial to the customer. So I think that normally it is to the benefit of the brand. Another practical example is the Postal Services strike. Very, very quickly, companies became very, very innovative and very quick to actually communicate to customers now about their statements, what they owe on particular accounts, before the Postal Strike, you just had to go and collect your statement from the mail and you knew it was your responsibility to figure out what you need to pay. But the moment that didn’t work, all of a sudden there was a far more SMS communication, e-mailing of statements, very proactively done, not necessarily on request of customer, but it’s again to collect the money, it’s again to benefit the brand. But I don’t think we don’t balance it, I don’t think from the service perspective we give back to the customer. DiSA: Do you think this is a challenge in the South African market only or is this something you have seen, recorded, or noted in other markets in Africa or worldwide, that companies are operating from their brand only, and not thinking about the customer? AA: I think probably you’d find the elements of that globally, but I do think that it is a little bit more severe in South Africa. I do think that we are more focused on drawing the boundaries, making sure we operate within our own boundaries, making sure that the rest is the customer’s responsibility, and also the thing is to a large extent the South African consumers are not yet as vocal as you may find in Europe and America, so we still tolerate a little bit more than what we should. I think we would prefer sometimes rather to complain on social media sites, we don’t necessarily always stand on our ground within the corporate structure. DiSA: Do you think companies take complaints on social media and sites like Hellopeter seriously? AA: Yes, they do. Unfortunately, they take complaints more seriously than a direct complaint – often a faster turnaround. The minute something is on social media, companies think, “I am careful of the reputation, so I want to deal with this fairly quickly.” If something is on Hellopeter, “I want to get rid of it fairly quickly”. It’s sadly symptomatic of why [consumers] escalate to social media. A few years ago, you would have phoned the contact centre, got upset, asked for the supervisor, asked for the manager, but you would have escalated it inside of the company. We now are more likely to go very quickly outside of the company. 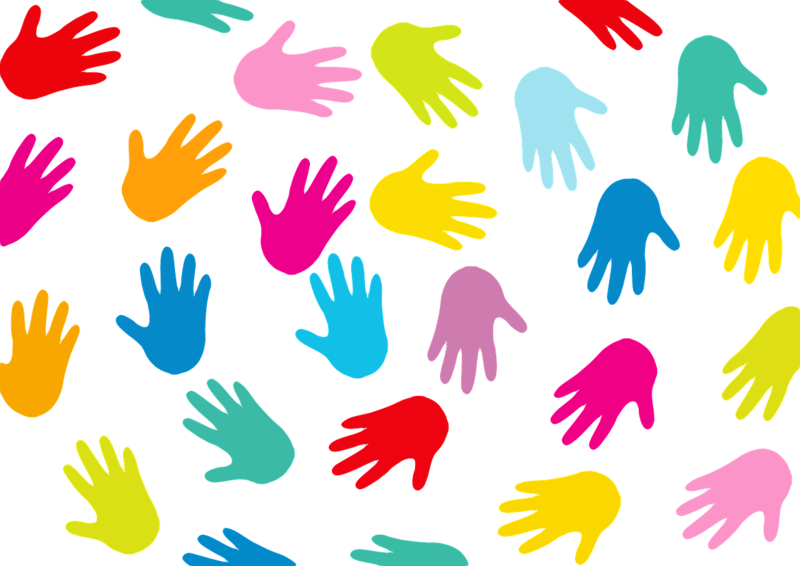 It’s a matter of a lack of social capital in the company, we don’t think the company will deal with it fast enough or effectively, so we go to Hellopeter or to social media. DiSA: Is there any indication of why companies don’t take direct complaints more seriously? Is it a cultural problem? AA: It is a structural problem, it’s the way service environments are structured. There is so much red tape in terms of what a service agent can and can not do, and how they need to operate. In my opinion, it’s not even working that well on social media, as social media has been traditionally seen as a marketing tool rather than a method of engagement with customers. So, companies have struggled to draw up effective ways and strategies of dealing with queries and complaints sent through social media. 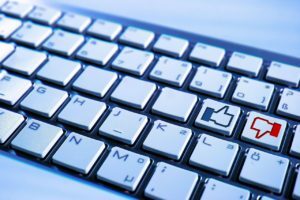 The data shows that customers who went through social media gave lower satisfaction scores than those who went through the traditional service channels with their queries. We measured companies’ success on social media with three different scenarios: are the companies on the relevant platforms? do they engage with customers? if customers do post a query or complaint on social media, how long does it take to successfully resolve the matter? We haven’t seen data that shows a company that does exceptionally well in all three categories. FNB are fairly consistent and that’s why they ended up winning, but there is still room for improvement in all three categories. De Beer goes on to comment on data collected about companies’ role in combating service delivery and poverty. 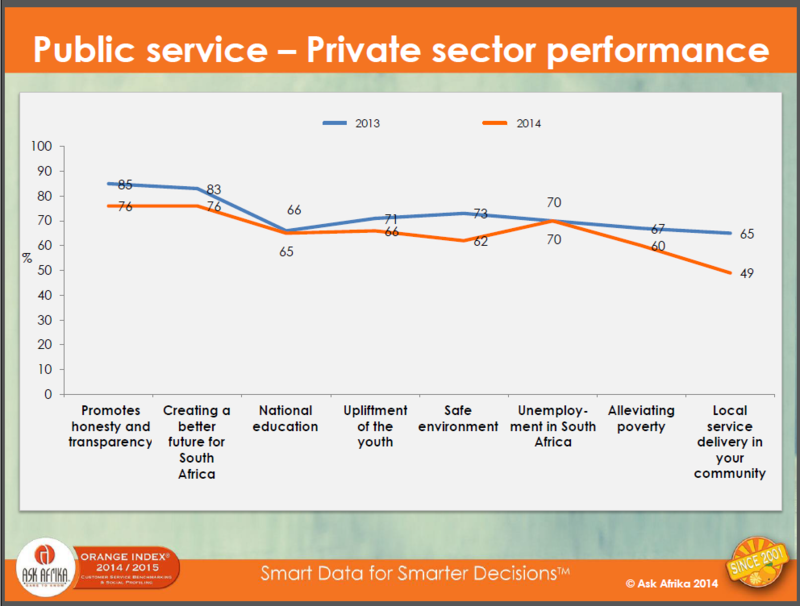 AA: There is a decline in perception that private sector is doing less in alleviating poverty than a year ago. These are very strong focus from the consumer perspective, they want to know what companies are doing to make South Africa a better place. And I think too often that companies are focused on being humble and not necessarily talking about what they are doing. 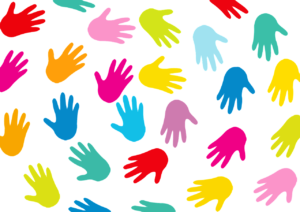 There is often mismatch between what companies do to really contribute and make a difference, and speaking about it. The consumers end up not knowing about what’s done. Consumers of today are saying, I can choose who I can do business with and I want to do business with a company that actually makes a difference and contributes. Companies leave it up to the customer to build up their own understanding over what companies do in this space. I think that it contributes to the decline of the perception that there is not much happening. Consumers are expecting more. If you look at the companies that normally perform very well on the Orange Index, I do think that the majority of them do quite a lot. Whether it’s efficient or not, as with most things, the more you do, the higher expectations they become. The consumer becomes used to something and they expect more, the next. Where companies do much for communities, that would be in a separate department than the service guys who are in daily contact with the customer. So although much could be done for the communities, customers may not be feeling that they are valued by companies. 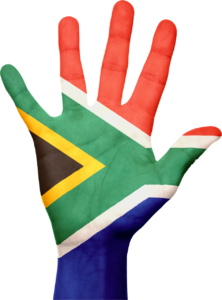 DiSA: Could you comment on corporate South Africa’s performance, compared to the rest of Africa? AA: South Africa performs very well and it’s a pattern we’ve observed over many years. It is also commonly thought that South Africa’s performance would be inferior compared to global standards. There are many industries where we actually perform better than global standards. For example, we usually do very well in the banking sector. We have looked at international benchmarks previously and we have included them in the Orange Index, but more than half of the industries measured in the index show better performance than what we’re seeing internationally. 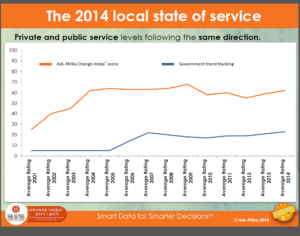 One also needs to take into account the main drivers behind service excellence in South Africa. This is different than the rest of the world. Things like corporate social responsibility is very pronounced in South Africa and we will not find that trend running across different countries. We also looked at normative behaviour. [Ed. standard of correctness that follows the rules of society] 50+ age group is the harshest critics of service delivery, they gave the lowest ratings possible. We tend to think that Generation Y would be the most difficult group, but this is not the case according to the data. The 50+ group is also forgotten or is understood in marketing by companies, advertising and marketing seldom focus on that age group in their activities. Looking across the entire population, the Indian community were far more critical in their ratings than the rest. (ed. 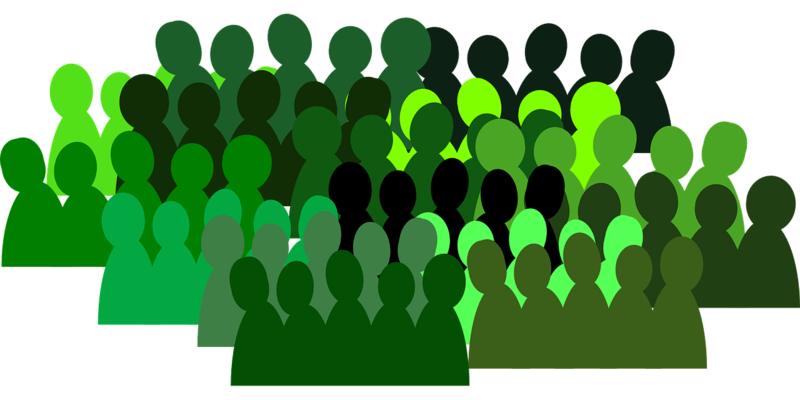 AA clarified later that the data for the Indian community, as part of the sample size, was representative of the total population.) Gauteng, Western Cape, and Limpopo proved the most critical provinces, with Western Cape perhaps topping that selection. Limpopo is a bit of surprise, but we need to watch it as there is a lot of development happening in Limpopo. 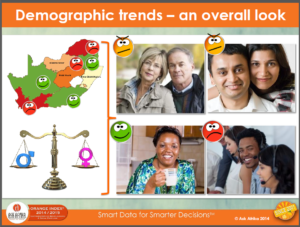 DiSA: What does the data say specifically about Limpopo? AA: We’ve been seeing over the past 2 years that customers there have been complaining,”Why do I have to pay the same [as Gauteng] when I don’t get the same product range?” … “It’s not as if I’m getting a discount.” … “I don’t get the same service standard, I have to wait longer.” If you look at service in general, in most interactions we’re actually paying for service, not just charges, but you can’t choose your service package. You pay for it, but you don’t have a choice in it. Those discrepancies are going to become problematic. Males and females showed the same behaviours in the data. DiSA: Some would argue that the innovation should ideally sit within government given the high level of taxation. Why isn’t that happening then, is government not meeting the demand? So the consumers are pushing the responsibility back to private sector, as they are not recognizing sufficient social capital within government. They are however seeing that potential and the social capital in the private sector. [Companies are then] turning that social capital into a service experience. If we do the statistical modelling on the data, corporate social responsibility is becoming a core driver of customer loyalty. It’s not really customer service [anymore], customers are looking at CSR and making that a part of service. DiSA: Is this a particularly South African phenomenon? AA: Yes, it is. You might find it in other countries in a similar fashion, but I think that it is fairly unique to our context. 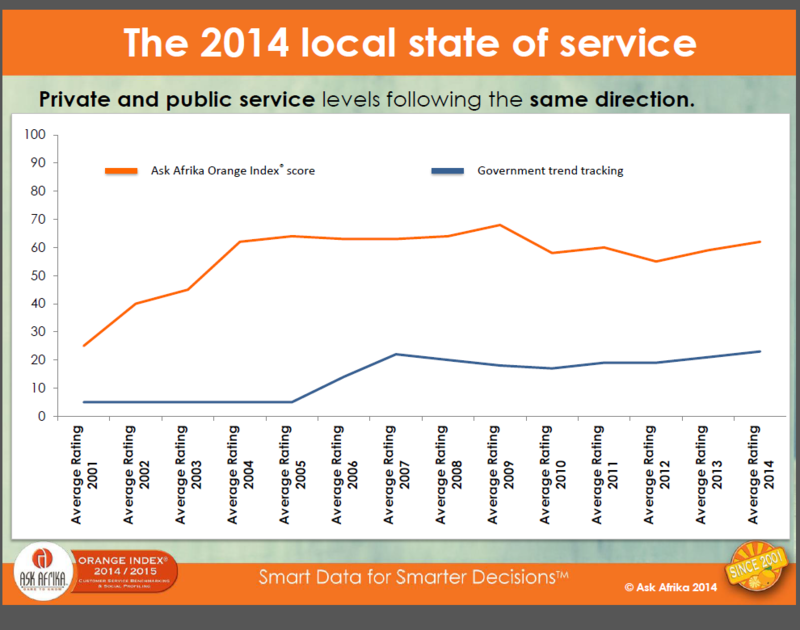 The way we measure service in South Africa is different than how we do it in other countries [in Africa]. We have different issues, we have different things that are important to citizens and we need to understand from a service perspective that our customers are citizens. And I think that actually the shift that we are seeing is that they expect companies to do more. They are expecting companies to do more where ‘it matters’. This is now a very important part of customer loyalty, in particular. DiSA: This is obviously good for the private sector as it expands their reach and footprint. AA: Yes, it gives them an opportunity to build affinity towards the brand. A very good, practical example of this is the Outsurance pointsmen, where the company actually are doing something extra. If I was to get two quotes from two short-term insurers and the quotes are very similar, the shift would be towards [Outsurance] as they’re seen to be doing more. They impact lives a bit more than just the premium paid every month. We’ve been picking this up for the past two years and we’re not seeing any signs of decline or change. DiSA: Given the trust capital, so to say, that companies are now developing with their customers, are companies now on the right track to solve service problems and address consumers’ apathy about traditionally poor areas of delivery? AA: It’s hard to answer that but I can say that in my direct experiences with clients, there is a massive commitment to addressing problems. However, I don’t think companies are yet good enough at communicating effectively with their consumers. 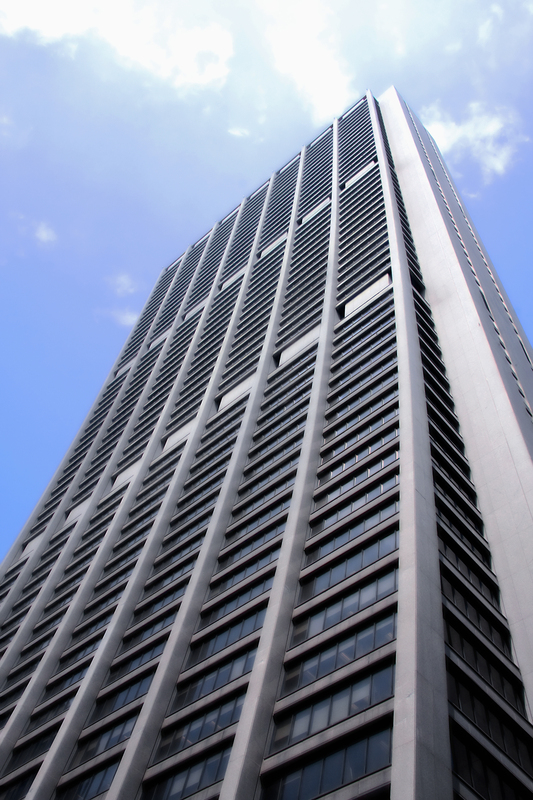 Some companies though are making a massive contribution, but it is not always visible enough. Consumers aren’t always as aware of everything that companies are doing. 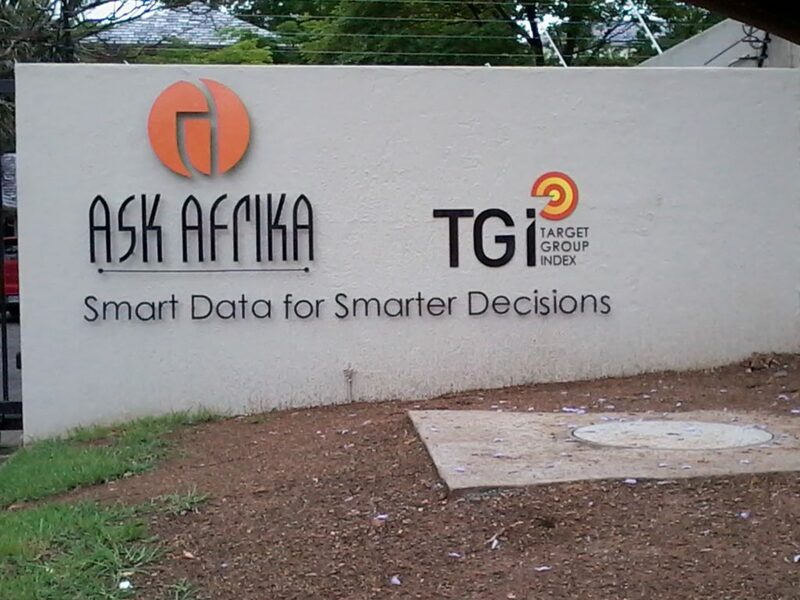 Ask Afrika is based in New Muckleneuk in Pretoria.